Car enthusiasts will leave California in their droves. France decided to make a big move by being the first country to announce a ban on all gas and diesel-powered cars by 2040. We know that pollution is a much bigger problem in European cities, but we thought that this decision was madness. Amazingly, the UK decided to follow suit with its own ban by 2040. Now it seems that a ban like the ones issued in France and the UK may be hitting a little closer to home. Automotive News reports that California may be the next place to ban the sale of gas and diesel-powered vehicles. California Governor Jerry Brown has expressed interest in such a ban and Mary Nichols, chairman of the California Air Resources Board, says that "I've gotten messages from the governor asking, 'Why haven't we done something already?'" The Governor referenced China's plan to phase out gas-powered cars, and asked why California can't do the same. A ban like this would be devastating to the current automotive marketplace. More than two million cars were registered in California last year, which is more than France, Italy and Spain. Automakers would have to quickly adapt and sell new models with EV powertrains. 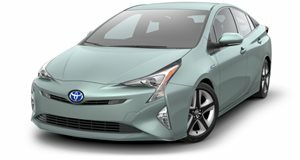 Even cars that are popular in California, like the Toyota Prius, would have to change in order to meet the ban's requirements. California has a goal to cut carbon dioxide emissions by 80 percent from 1990 levels by the year 2050. Technically, California can alter its pollution rules thanks to the 1970 Clean Air Act, which includes waivers from the EPA. Nicholas said that using the EPA waiver would probably not work, because the Trump Administration wouldn't approve it. A more likely alternative would be to control which vehicles can enter state highways using vehicle registrations. The whole thing sounds like a mess to us. The state of California is a mixed bag for automotive enthusiasts, home to some of the best driving roads in the country, as well as some of the worst traffic in the world. Enthusiasts who own high performance cars can only get 91 octane gas, which limits their performance. A ban like this would be a huge blow to anyone who loves cars as well as manufacturers who are not in a financial position to develop popular EV cars. If California does go through with this ban, we can only see it as a disaster.